While already on the PK greater Vancouvers Rebecca Clarke suffered a stick infraction while trying to muscle St.Alberts, Dayle Ross off the puck, giving St.Albert a 5-3 advantage. It was the captain Madison Willan who would open the scoring on that PP. A good drive to a net from defensemen Taylor Anker left the puck on the doorstep for Willan who banged home a five hole goal on Jordyn Verbeek. Less than 5 minutes later it was Clarke making up for an earlier call getting a half break on net, forcing Anker to take her legs out drawing a penalty. On that PP it was the Jennifer Gardiner show, after snapping a pass to Jenna Buglioni the puck found its way back up to Gardiner who walked into the slot and sent an absolute missile past Brianna Sank. The teams would continue to exchange PP opportunities for the rest of the period neither team would concede a goal for the rest of the frame. The second started much like the first and once again it was St.Albert getting on the board first just 80 seconds into the period. After a long shift in their own zone, a failed clearing attempt by Berry Davis left the puck on a tee for Kiah Vail which would be deflected twice on route to the net beating Verbeek low, 2-1 St.Albert. Vancouver, like before, wouldn’t take long to respond. A good defensive play by Madisyn Wiebe in the St.Albert zone lead to the puck on the stick of Mould who wisely passed up a shooting opportunity giving it back to Wiebe who beat Sank clean through a screen through a glove. A goal scorers goal. Scoring wasn’t done there. With 7 minutes to go in the frame St.Albert would go to the PK. But it was the Slash who would take advantage. For the second time on the night Willan would beat Verbeek, this time on the breakaway after stripping Jennifer Gardiner at her own blue line. St.Albert still had one more in their pocket and it would be Mackenzie Kordic banking one off of the back of Verbeek who was caught cheating off the post. The third started with St.Albert working in the Vancouver zone peppering Verbeek with shots but Verbeek who made a number of glorious saves in first and second held tall. It took Vancouver a few minutes but they turned up the heat on St. Albert forcing Sank to make save after save holding a two goal lead. The rough stuff would also continue in this spirited affair with Anker and Clarke receiving coincidental minors. Chances would continue both ways, Kordic hammering a shot off the post and the duo of Buglioni and Gardiner who would combine for their third two-on-one of the game. But it would St. Albert who would get on the board, their 2nd PP goal of the night. A scrambled looking PP to start would convert after Anker crashed the net and Jaden Bogden who’d been humming all night buried her first of the series. Scoring would dry up for the rest of the period but a scary moment came with just 2:30 to go when Comets defensemen Rebecca Mould took a nasty spill into the boards after catching an edge. After a lengthly delay Mould was stretchered off the ice and the game was resumed. Mould’s status is still unknown for the remainder of the series, but we wish her all the best. St. Albert would close out the game from there, taking the first of the 3 game series 5-2. Madison Willan who had 2-2-4 was named the player of the game for the Slash, while Madison Weibe who scored in the 2nd was named POG for the Comets. Cant make it but want to watch? An impressive list of players has played in their 1000th game Duncan Keith, Jason Pominville, Ron Hainsey, Jason Spezza, Tomas Plekanec, and Ryan Suter. 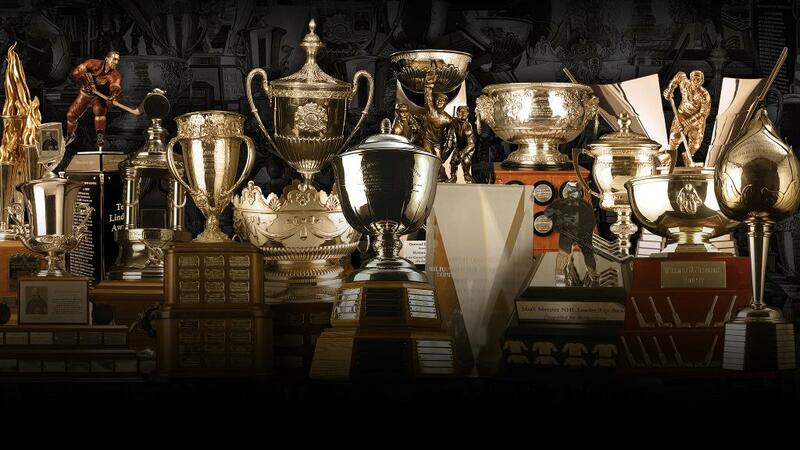 Keith with 3 Stanley Cups is a lock for the hall of fame, Pominville, Hainsey, Spezza, Plekanec have all had long successful careers but maybe aren’t the best candidates for the hall. Suter, on the other hand, is a curious case as far as HHOF selections go. Home to more than just than just the small quiet mountain town of South Park, Denver is also home to the Colorado Avalanche. Coming off a rough 2016-17 in which Colorado finished last in their division with only 22 wins not many expectations were put on the Avalanches season. Anticipated to be none contenders Colorado GM Joe Sakic stood firm on his position to move Matt Duchene, but not till the right deal was in place. 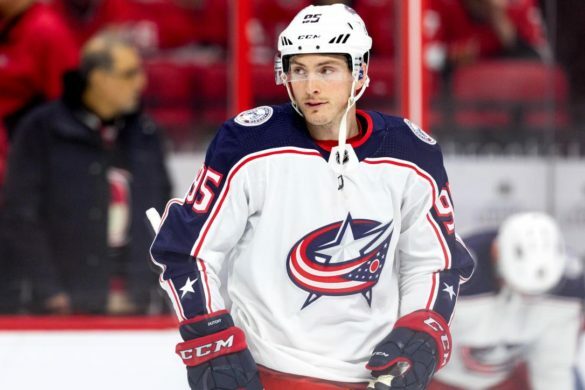 Finally on November 5, after what 18 months of trade speculation Duchene, was dealt to the Ottawa Senators, in a 3-way trade that saw the Senators, Kyle Turris, go to Nashville while Sam Girard and Ottawa’s 1st, (2019 deferred) and 3rd, (Justus Anunen, 64th) picks go to the Avalanche, among other pieces. On December 7, just over a month after trading Duchene, coming off an embarrassing 5-2 loss to the Lightning, the Avalanche had lost 4 straight, with a record of 4-7-2 since his departure. The Av’s sat last in Central, 14 points back of the division leading Blues. The Avalanche season would not be lost though, as they would rattle off 10 straight victories coming out of the Christmas break, outscoring opponents 41-16. Hart finalist Nathan MacKinnon would pick up 19 points over that stretch (8G, 11A). After scoring only 53 points the year before, former 1st-overall pick Nathan MacKinnon, would cement himself as a force to be reckoned with. 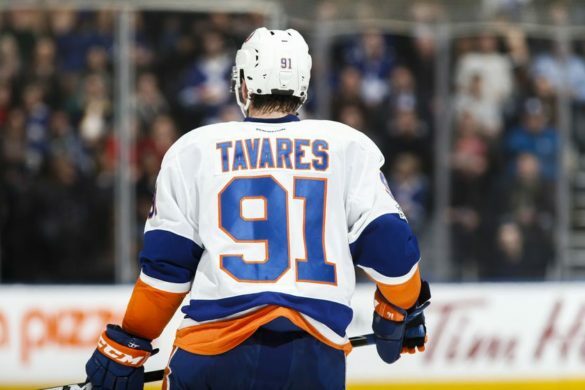 Scoring 97 points, nearly doubling his last years totals, his 39 goals and 58 assists were both career highs as well. The Avalanche would go on to make the playoffs as the surprise 8-seed, after multiple young players stepped up and had career years, including; JT Compher, Mikko Rantanen, Alexander Kerfoot and Tyson Jost. After losing Semyon Varlamov last year before the post-season, Colorado’s goaltending depth showed. They sured that up by trading for Philipp Grubauer who last arguably the best goalie in the second half of the NHL last year, outplaying Brayden Holtby. They lose Hammond and Bernier but also add a possible hidden gem in goal, Pavel Francouz. Colorado signing Ian Cole adds a top for defensemen, who is more defensive minded, allowing him to most likely play on the second pairing with Tyson Barrie. The only question with the signing is that Ian Cole plays on the left side and Colorado is now loaded with six left defensemen on their roster and only two righties. The addition of Matt Calvert gives Colorado a solid option on 3rd-line C, and makes up for the loss of Blake Comeau. The Avalanche have a lot of young players that should take even bigger steps than last year , most of whom need to be re-signed after the season, IE. Kerfoot, Compher, Rantanen, Zadorov. Best of luck to Nail Yakupov who is now playing with CKSA in the KHL. I’ve been a huge fan of Conor Timmins since I got my first real look at him during last years under-20 World Junior Championship, he was one of Canada’s best defensemen leading Canada to gold. The former second-round pick has one of the best shots to make the team in October because of the advantage he has being a right shot. 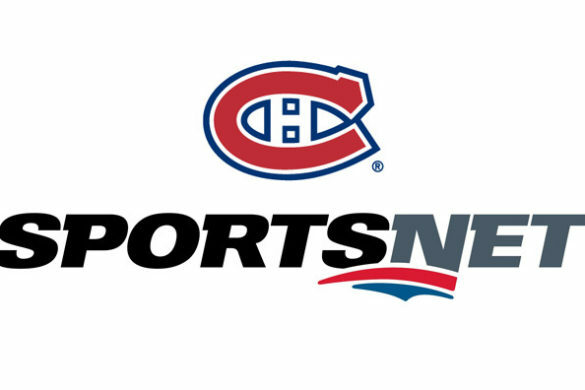 Back in February, TSN, had Timmins listed as the 34th best prospect outside of the NHL. With a summer to workout and mature expect Timmins to crack the roster out of training camp and most likely start the year on the 3rd pairing with a rotating; Nemeth, Girard and Lindholm. Timing breaking out means sticking in the NHL, points don’t have to come immediately for Timmins and with a lot of young defensemen, Colorado will give him time to develop. JT Compher while still technically a rookie last season pulled up his socks for the Colorado Avalanche. Last year Compher started more than 50% of his shifts in the defensive zone, which showed the rookies grit and tenacity, as most are not trusted to have such a grip on the defensive side of the game so early. Compher should be a lock to play on the second line this year giving him more offensive opportunities but also more defensive responsibility having to play most of his minutes against top competition. The one part of the game I would like to see Compher improve is putting more pucks more pucks towards the net. Last season Compher shot less than 2 shots per game (131 shots in 69GP) while shooting 9.9%. If he can up his production to 2.5 shots from 1.8, less than a shot a game Compher could finish with 20 goals easily playing in a full season. Last year Kerfoot had an amazing coming out party as a rookie but I don’t believe that production is sustainable. Kerfoots 19 goals last season on a shockingly low 81 shots, meaning that last season he shot an outworldly 23.5%. I believe both those numbers are set to take a major hit this season because In order to score in the NHL, you need to shoot. The average for shooting on any giving season is anywhere from 10-13% so lets say 11.5%, which means Kerfoot essentially doubled the leagues average and that is not maintainable. At just over 1 shot per game, Kerfoot would need to more than double his total shots to maintain his goal pace at the leageus average. Playing on a young talented Colorado squad Kerfoot will still have an opportunity to collect points, bouncing between the 2nd and 3rd lines. Good, but just not good enough for the Avalanche this season. Colorado will be a bubble team all season in the West, after an incredible year last year, it will be hard to repeat the individual success of everyone again. 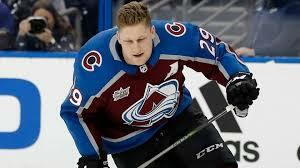 MacKinnon was a Hart finalist last year but what should we expect from him this year round? 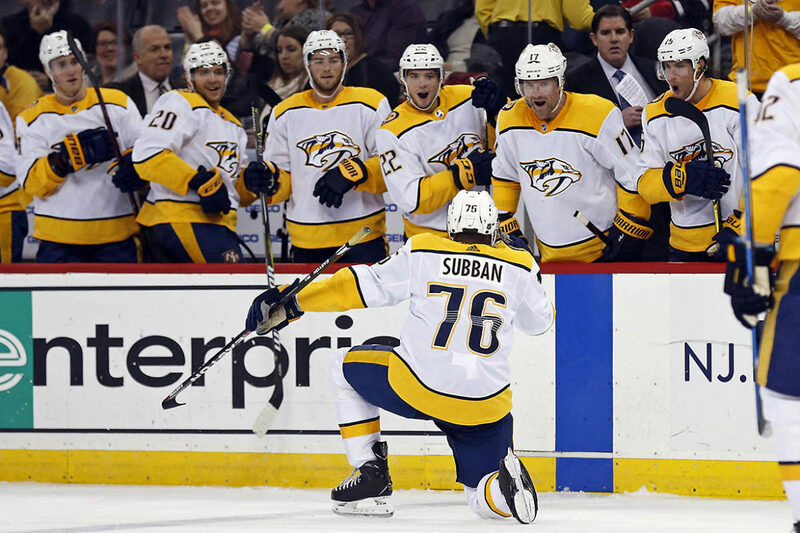 The success of the Avalanche, fair or not, lives and dies with their superstar. The question for the Avalanche is if they can handle the depth in their own division, Nashville and Winnipeg are essentially locks to make the playoffs and the Blues after shooting themselves in the foot near the end of the season last year will be looking to bounce back. Even if Colorado fails to make the post-season this year, they will still have many kicks at the can left. They are a young budding team that will also have a chance at the #1 pick in this years draft. Last year was a season of lows for the Chicago Blackhawks. After being swept by the 8-seed Nashville Predators in the 1st round of the playoffs the year before, everyone expected Chicago to come back with a vengeance. In the off-season they looked to shake the team up and traded Artemi Panarin for Brandon Saad in what most considered a lopsided win for the Columbus Blue Jackets. Chicago would start the season 17-13-5 before starting goaltender Corey Crawford would go down with an injury that would force him out for the rest of the season. 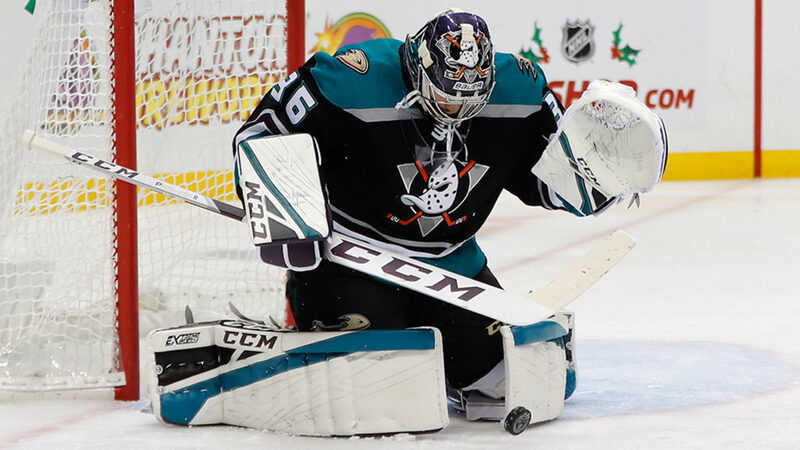 Before going down Crawford had a record of 16-9-2 with a .929SV% and 2.27GAA. With a massive hole in net, Chicago’s depth on defence would be challenged, Brent Seabrook would be healthy scratched for the first time in his career, Patrick Kane would go under a point-per-game for the first time in 6 seasons. All in all the Blackhawks would see a 33 point swing in the standings finishing near the basement missing the playoffs for the first time in 10 years. With Chicago pushed near the cap ceiling not many moves were an option for Chicago. They knew they needed a more reliable back-up for Crawford and found that in Cam Ward but one might wonder whether a team with cap issues couldn’t of found a more cost effective back-up and used parts of that 3 million to address other holes on the roster. The defence is what really got exposed for Chicago last year, other than Duncan Keith, no one really stood out of did anything for the Blackhawks. Brandon Davidson and Brandon Manning are good depth pieces but are closer to the bottom pair than they’re the top. Offence was also a problem last year for Chicago, as their leading scorer Kane, had trouble finding chemistry with teammates the same way he had it with Artemi Panarin. 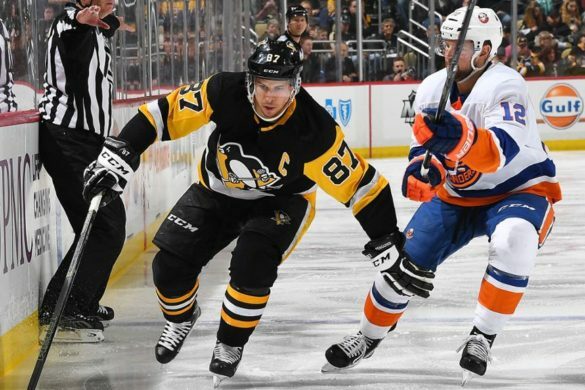 Chris Kunitz is a 4 time Stanley Cup champion and a good locker room guy but at 38, his best playing days in Pittsburgh and Anaheim are behind him. Erik Gustafson along with Alex Debrincat were one of the only real bright spots for the Blackhawks last season. Gustafsson made his way up the depth chart, as others played their way off it. 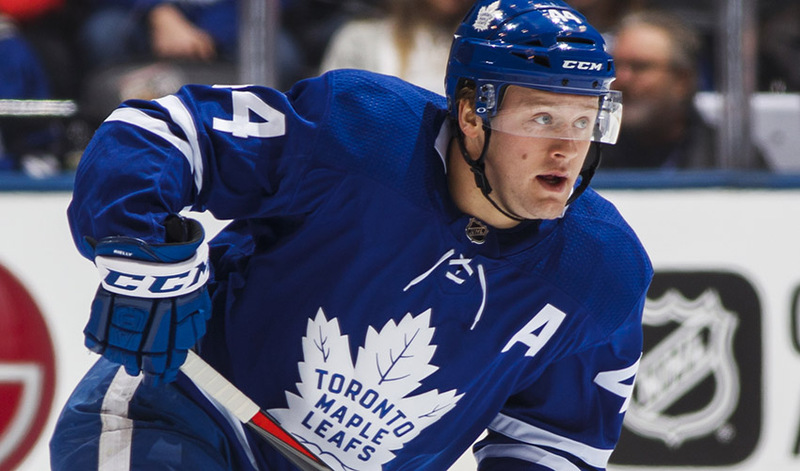 Eventually he would make his season debut, in January, after Chicago sent struggling defensemen Cody Franson, down to the AHL. At the time of his call up Gustafsson had 17 points in 25 AHL games. The offensive side of his game is here and now at 26, Gustafsson must wonder if he’s here to stay in the NHL. Defence is what the Blackhawks had asked Gustafsson to work on and if his possession numbers are any indication of progress, than he can bring confidence into Chicago’s camp this year as well. Last season, Nick Schmaltz, started the season centering a line with Patrick Kane and with 16 points in just 21 games Schmaltz, was on fire, or so it seemed. In those 21 games, Schmaltz, only registered points in 8 of those contests, scoring 3 points, 3 times. During that span he also had pointless droughts of 4 and 5 games. Last year on 118 shots Schmaltz scored 21 goals, thats a a whopping 17.8% shooting, way above the league average. 21 goals is an impressive feat in todays NHL, especially for a player who never scored 20 goals in a season dating back to 2011 in junior. Schmaltz is more of a playmaker and playing with Patrick Kane means finding him the puck, last year Kane’s shot attempts (496) were more than double Schmaltz (218). The good news for Schmaltz is last season was a down season for his linemate Kane, which i expect him to bounce back from and re-enter the over a point a game category. So what Schmaltz loses in goals this year I believe he can slightly make up in assists. For a second straight year the Chicago Blackhawks will fail to make the post season. The torch has been passed from Chicago, now the likes of Nashville and Winnipeg sit atop the throne in the Central. In an uber tight West where so many teams got better it must of been hard to watch for Blackhawks fans as the only real excitement has been depth signings. Kunitz, Manning, Kruger and Ward are good adds to a team that is only a few pieces away but the Blackhawks are more than a few pieces away. The defence will be the first thing exposed in Chicago this year. Duncan Keith is one of the best defensemen in the NHL and will continue to do so but outside of him its pretty bare bones in Chicago. Seabrook took major steps back last year and I don’t see it getting any better for him from here. Murphy, Rutta and Manning are all good 4-5 defensemen but none of them truly have a top 2-3 potential. This is a team who hasn’t had a good defensemen to either keep up with Keith, or keep Seabrook’s head above water since Niklas Hjalmarsson was traded for Connor Murphy to get younger on D. While do have Brandon Davidson on a PTO his addition still doesn’t turn the corner for me on this being a playoff team. I expect Artem Anisimov to be moved during the regular season as well. His NTC starting this year requires him to submit a 10 team list he can be traded too. To a playoff team this season, Anisimov, might be able to entice a team to give up their 1st-round pick which are very coveted this year. Anisimov has 20 goals in 4 of his last 5 campaigns shooting over 15% in each of his last 3 seasons. 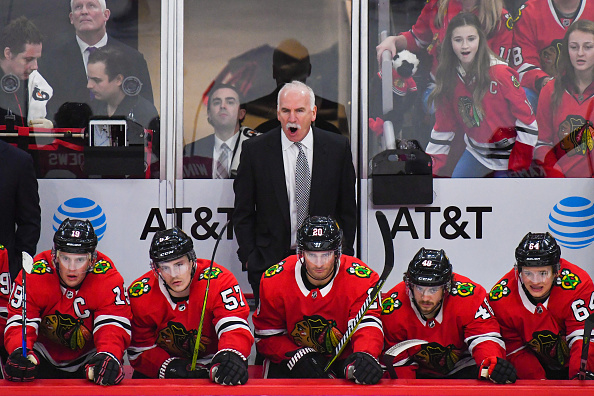 A poor season by Chicago will most likely cost Joel Quenneville his job at the end of the year and in the offseason Chicago will have to make some hard decisions regarding their roster going forward. 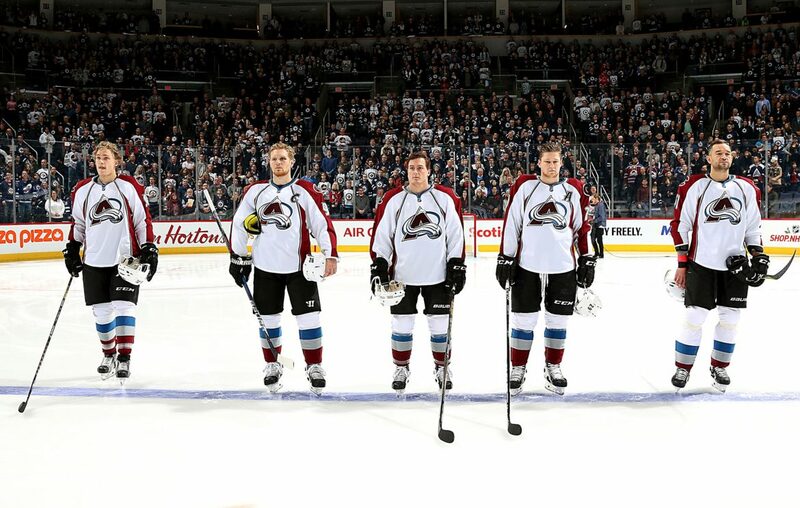 Comeback tomorrow where NHL 31 for 31 turns 10 ( days) and we celebrate the Colorado Avalanche. In Sherwood Parks’ second game of pre-season action they take on this years host team; the Camrose Kodiaks. 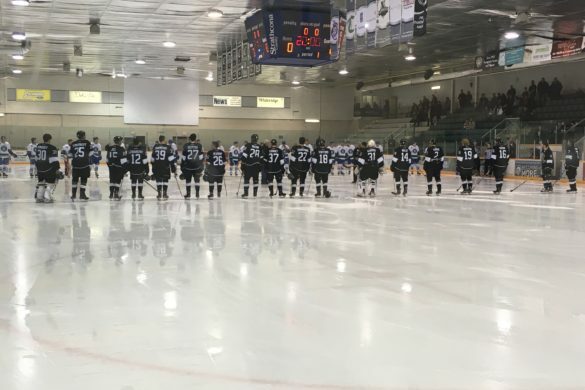 After a disappointing 6-5 loss to the Drumheller Dragons on Wednesday, the Crusaders looked to bounce back and get into the win column against the Kodiaks. They would more of a full lineup in this one with more returnees suiting up as opposed to the roster that rookie-heavy Wednesday afternoon. Host Camrose got on the scoresheet early burying both of their first two shots of the period. Brennan Davis scored the first and Kyler Kupka put home the next to go up 2-0 just 7:14 in. The CRU cut the lead in half with some pretty passing on the power-play, finished off by Jacob Franczak, with helpers from Will Zapernick and Michael Benning. Two minutes later, a simple short handed clearing attempt was misplayed by Crusaders goalie Luke Cameron, and gift-wrapped Ethan Heidepriem with a short handed goal to restore the two goal lead. Less than a minute later, the CRU would claw back to within one on a power-play goal from Garett Clegg with a nice pass from Will Zapernick. The CRU tied the game 50 seconds later on a goal from Kyle Fulton. Camrose took a cross checking penalty which lead to a one-time goal from Zafir Rawji to give the CRU their first lead of the game. The lead quickly evaporated as Ethan Heidepreim took the deep pass from Kyler Kupka and undressed the goaltender for the five-hole goal brining Camroses’ goal total to four on five shots. The second period picked up where the first left off with Camrose taking the lead a minute into the frame on a goal from Jacob Kendall, brining the goal total to five on seven shots effectively ending Luke Cameron’s night, as he was replaced by Brandon Vogel. Camrose would make a goaltending change of their own mid-way through the period, as Luke Lush was replaced by Ty Marcinkowski. Camrose once again took a two goal lead as Dallon Melin put one past Vogel to extend the lead. The CRU would pull to within one yet agin this time on a buzzer beater from Jacob Franczak, who smartly looked off the pass on the two on one and fired it home short side with 0.9 seconds to go, to make it 6-5 heading into the second intermission. Camrose took an early slashing call 40 seconds into the third, along with a too many men on the ice call a minute later to make the power play a five on three. The CRU would make no mistake as Zafir Rawji would tie the game at six. The Crusaders took the lead mid- way through the third as Will Zapernick would once again look off the pass on a two on one and fire one home short side to give the CRU a seven to six lead, which was the fourth lead change of the game. The CRU put the game away late in the third as Zafir Rawji would score his hat-trick goal right off the face- off win by Garett Clegg, that was shovelled in front of the net by Carter Savoie, giving Rawji an easy tap-in for his third of the night. The Crusaders would hold on for the 8-6 win. Michael Benning was the most impressive defensemen on the ice all night. He ran the CRU’s power-play and made good decisions all night, as well as showing off his hard shot. The line of Clagg, Savoie and Rawji was dominant all night. They showed a lot of chemistry together, showing that they could be the teams top line this year. Brandon Vogel looked very sharp in relief stopping 19 of the 21 he faced. Will Zapernick had a nice night offensively with one goal and two assists showing off his nice passing skills in the process. 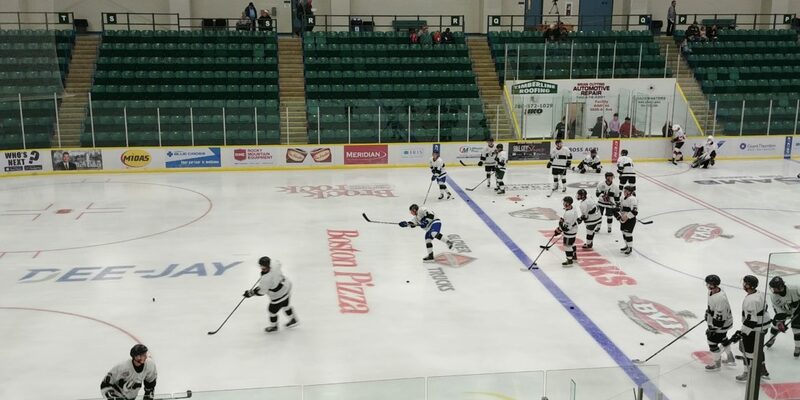 Despite the slow start, the CRU looked more complete as compared to the first game against Drumheller. Goaltending was shaky early, possibly making this the biggest question mark on the team heading into the regular season. Some players looked promising however, not yet ready to make the jump to the AJHL. Some time to develop their skills may be needed before making the Crusaders lineup. 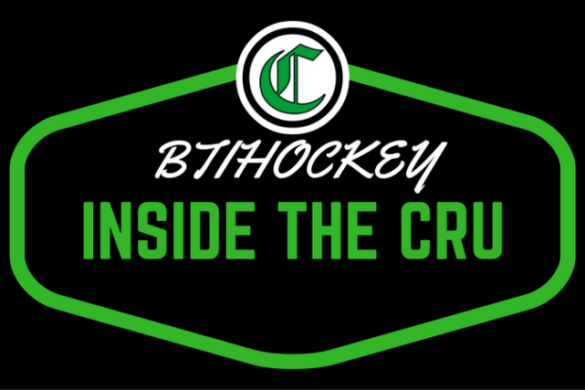 The CRU are back in action Friday at 12:00 p.m against the Whitecourt Wolverines at Encanna Arena. 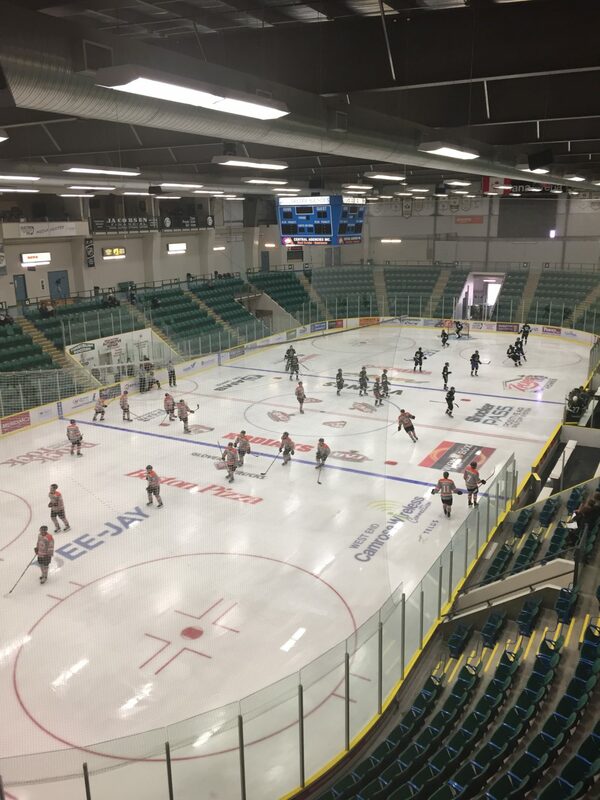 This year’s pre-season action for the AJHL opens up in the city of Camrose at the Encana Arena. 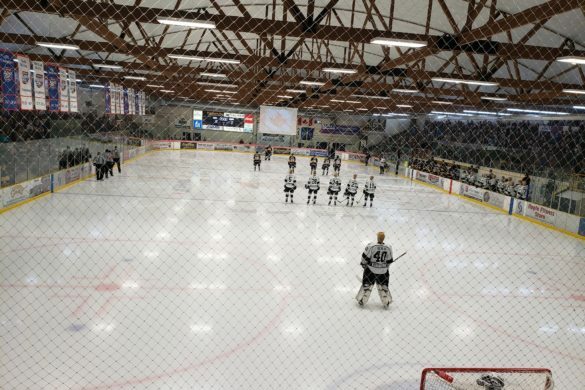 The Sherwood Park Crusaders saw their first action Wednesday, August 29, against the Drumheller Dragons. 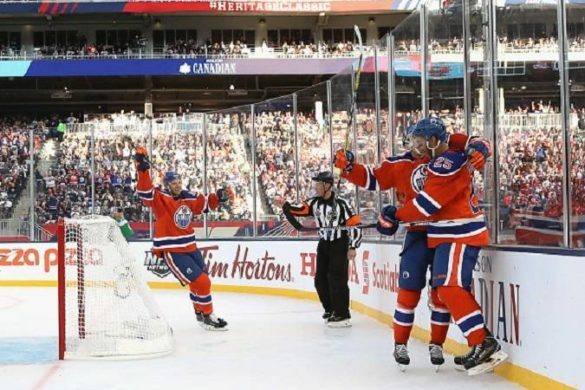 What a cinderella story it was in Vegas’s inaugural season, they set the record in both wins and points for a teams first season in the NHL, on route to making the Stanley Cup final that no one saw coming. Everyone wrote Vegas off before the season last year. 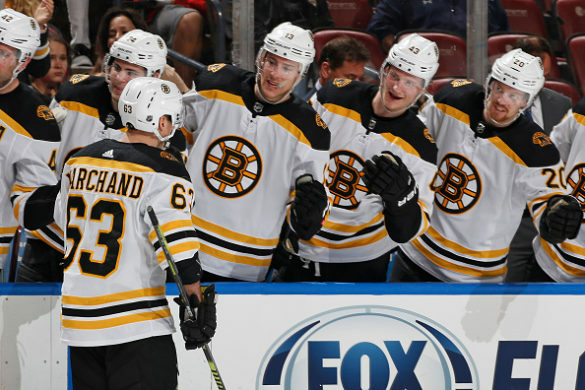 It looked as if it was a team of 3rd liners all huddled together, a team that could be competitive but would never make the playoffs, or so we thought. Geroge McPhee and Kelly McCrimmon made out like gang-busters getting 2/3 of their first line, (Reilly Smith, Jonathon Marchessault) and their head coach Gerard Gallant all for free from the Florida Panthers. 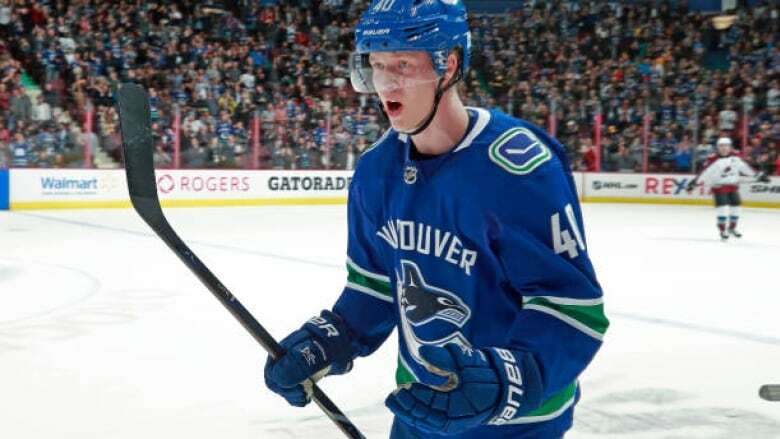 They would also get eventual 40 goal scorer William Karlsson from the Columbus Blue Jackets, a player who’s previous career high in goals was just 9. I could spend all day talking about who they stole from where and who looked great but that require me to do a write up on almost every single player. Teams made clear mistakes in the expansion draft, especially when protecting players. Thanks to Vegas I don’t see the future GM of Seattle getting many handouts from other GM’s around the league. Vegas loses their 3rd and 5th highest scorers from last year, James Neal and David Perron but they were never the long term plan with the team anyway. Not to be discouraged they went out and picked up Paul Stastny from Free Agency and Max Pacioretty via trade. Both Stastny and Pacioretty are upgrades on Neal and Perron as Vegas gets even scarier over the offseason. Defensemen Nate Schmidt is out 20 games following a suspension for taking a banned substance and I would like to see Vegas make a trade for a d man before the season starts. Getting ahead in the standings early is going to be so important in a division that saw San Jose, LA and Calgary all make significant moves. If there was one person who benefits from the departure of James Neal its Alex Tuch. With Neal gone Tuch, turning 22, is set to cement his spot in Vegas’s top-6. Tuch last season had positive possession numbers and a Corsi over 53%, those numbers may be hard to increase from but if its sustainable, with better line mates, Tuch production offensively has the potential to blow up. 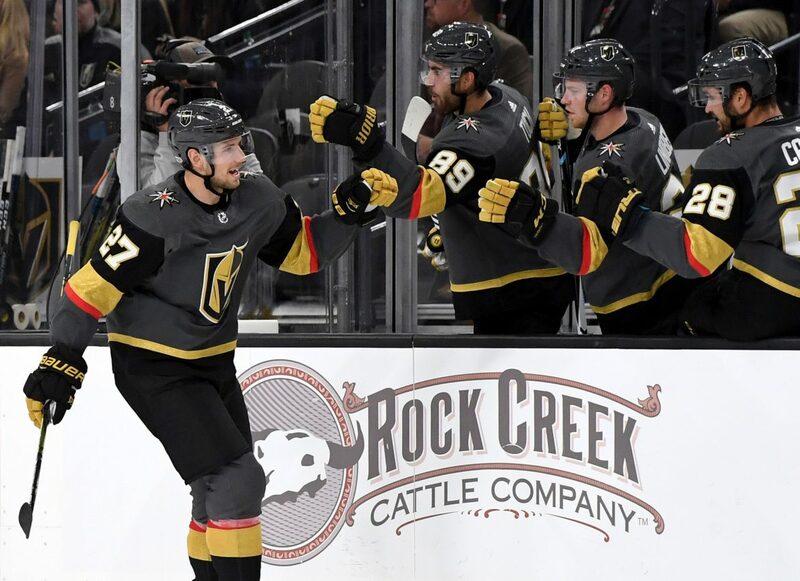 Last year Shea Theodore started the season with the Golden Knights AHL affiliate, Chicago Wolves, after just 8 games Theodore scored 11 points (5G,6A) before being called up to the team for the rest of the season. Theodore was another gift given to Vegas, Anaheim had to leave him unprotected in the expansion draft due to a NTC given to Kevin Bieksa two years prior. While he was impressive during the regular season the playoffs was Theodore’s real coming out party, on route to a Stanley Cup Final appearance, Theodore lead Vegas’s defence in scoring putting up 10 points in 20 games. He has already proven that he can play top pair minutes, he averaged the second most time on ice for Vegas behind Nate Schmidt. At just 22 years old, Theodore showed the poise and skill that it takes to become a #1 defensemen in the NHL. Karlsson came out of NOWHERE for the Vegas Golden Knights last season. Coming off a season in which he scored 6G, 19A, Karlsson over tripled his production jumping up to 78 points. His 43 goals also ranked 3rd in the NHL behind Alex Ovechkin and Patrick Laine. Kalrsson is due to take a step back because I do not believe his 23.4% shooting is sustainable even at a more realistic number like 16% Karlssons goal totals drop from 43 to 29. 35 assists last season was also a career high for Karlsson that I don’t see him topping. Jon Marchessault was gifted on a platter to the Vegas Golden Knights. A 30-goal scorer the year before (shooting 15%) and only making $750,000, many were surprised that he was left unprotected during the expansion draft. This year won’t be easy for Vegas, teams will no longer see them as the lowly expansion team anymore but as a fierce competitor in the West. 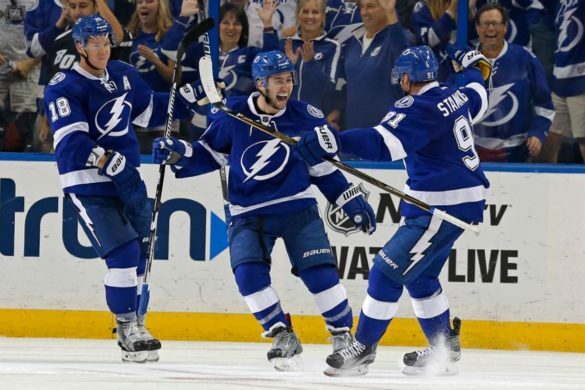 Trapped in a division that could have as many as 5 potential playoff teams, Marchessault will have to gear down and play a more defensive game or see the team crumble. Marchessault also had a career year when it came to assists largely due to William Karlsson career high 43 goals, 22 of which Marchessault had on assist on. Because I believe Karlsson will have a down year that also means a down year for Marchessault, his previous career high in assists is 21, while i expect him to surpass that total, I do not see him getting to the 40 assist mark this season. This year Vegas will come back down to Earth after having one of the most storied runs in a franchises first ever season. 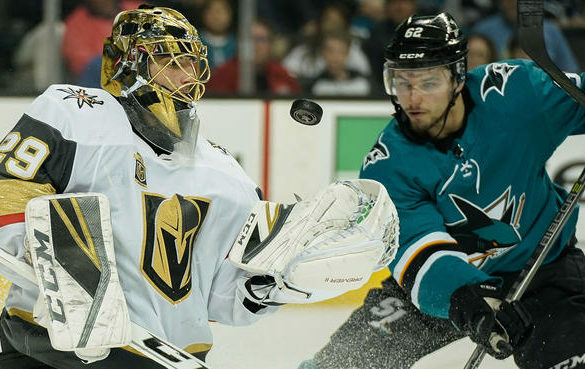 While the team is still built for the future with many young assets the Golden Knights still don’t have what it takes to win now, especially in a jam packed Western Conference. Vegas will still make the playoffs this year, most of the core is returning other than Neal and Perron but the additions of Paul Stastny and Max Pacioretty legitimizes the Knights chances at another post season berth. A lot of other teams in the West got better, Vegas did too. For me they are still not a playoff lock and more than likely a bubble team heading into the last month of the season. Vegas who we have finishing 7th and LA 8th, play each other in LA, to end both their seasons, a game I believe will have playoff implications in a tight Western Conference. Come back tomorrow when we continue making our way through the West, now into the Central Division, starting with the Chicago Blackhawks.